Ballistic is the definitive ballistics trajectory calculator, intended for long-range and precision shooters who want a serious–and a seriously accurate–application. 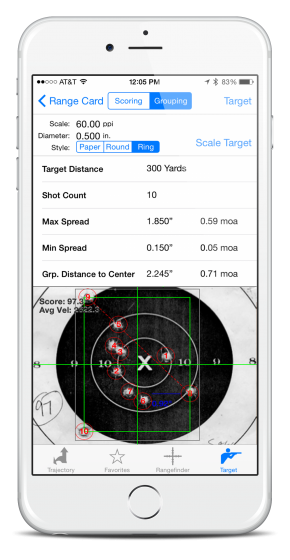 Ballistic will calculate your bullet’s trajectory, windage, velocity, energy, lead, and flight time for any valid range. The app can also compensate for atmospheric conditions such as temperature, barometric pressure, humidity, and altitude–it can even accept density of air or density altitude inputs! The world-renowned JBM Ballistics engine powers all Ballistic computations. Ballistic is used by competition shooters, long-range hunters, and the military to deliver the most precise calculations possible.